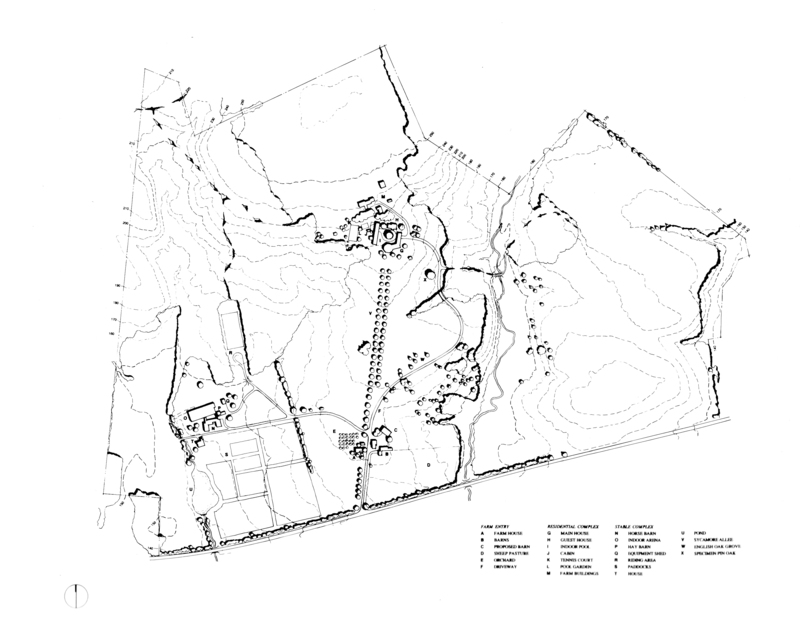 The master plan for this large property included a new one half mile curvilinear driveway that passes through a group of existing farm buildings on the way to the main residential complex. 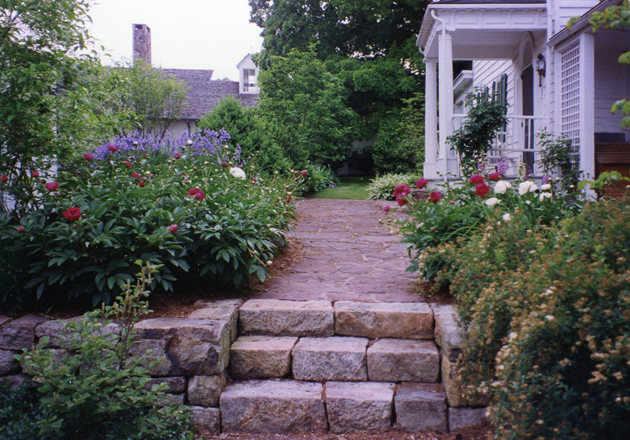 The old drive had been a straight line to the house through an old alley of sycamore trees. These trees were retained, and missing ones replaced. The new drive affords a series of picturesque views of the grounds. In the farm area, a new equipment barn was sited and designed, and new 4-rail post-and-rail pasture fencing was laid out and installed. 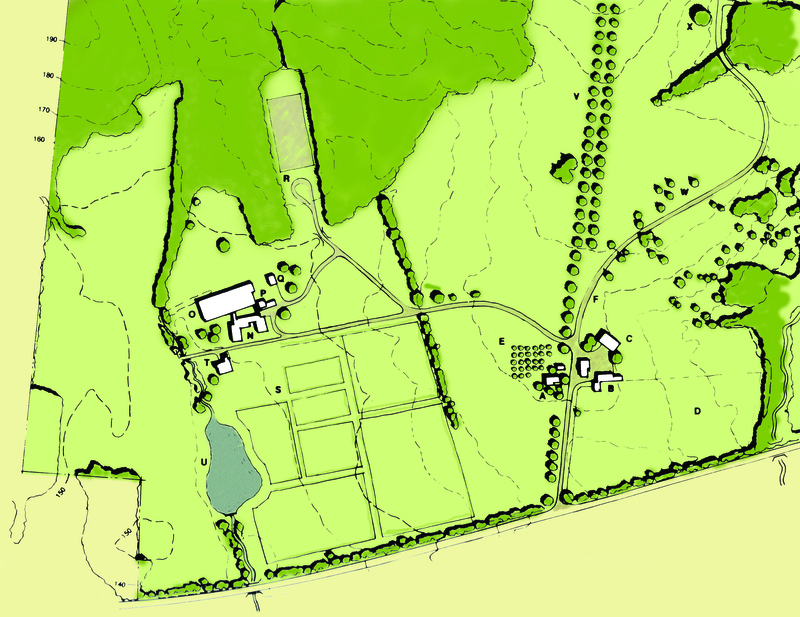 A later design phase for a stable complex to accommodate the client’s show horses included a 20-stall barn, attached indoor riding arena, staff housing, separate hay-storage building, paddocks, and turn-out fields. The design for the main residential complex included moving an ill-sited tennis court, incorporating a very large out-building (indoor pool) and extensive planting.